With an unlikely and unconventional Yankee detective by their side, Cole and Hitch set off on a massive manhunt. As horses' hooves thunder and guns echo deadening reports, Driggs discovers one of the lawmen on his trail is none other than a fellow West Point graduate he'd just as soon see dead. Ruthless and willing to leave a bloody path of destruction in his wake, Driggs seeks vengeance at any cost. 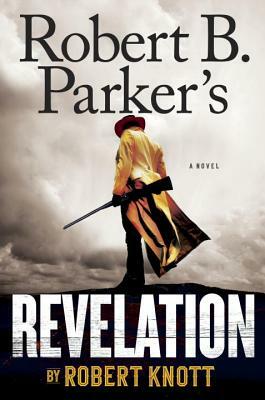 Robert Knott is an actor, writer, and producer, as well as the author of Robert B. Parker’s Blackjack, Robert B. Parker’s The Bridge, Robert B. Parker’s Bull River, and Robert B. Parker’s Ironhorse. His extensive list of stage, television, and film credits include the feature film Appaloosa, based on the Robert B. Parker novel, which he adapted and produced with actor and producer Ed Harris.